Zoom’s founder and CEO, Eric S. Yuan, will deliver a state of the company and industry address, and our product team will unveil major announcements that will significantly expand the Zoom product suite. Macklemore will headline Zoomtopia’s evening concert. Zoomtopia 2018 will focus on the role of video communications in trust, productivity, and culture. Mary Meeker’s 2018 Internet Trends report recently explored Zoom’s impact on business, citing that by using Zoom, 85% of customers improved collaboration, 71% improved productivity, and 58% built trust among remote workers. As a result, Zoom has seen high customer satisfaction and robust adoption, as demonstrated in its Net Promoter Score of 71 and over 39 billion annualized meeting minutes. At Zoomtopia, customers can explore how to maximize the benefits of Zoom in their own companies. Following on the success of the inaugural Zoomtopia in 2017, this year’s event has been significantly expanded to include an additional day featuring technical trainings, a Women in Technology luncheon, and a partner summit. Day two of Zoomtopia will include keynotes, breakout sessions, an evening celebration featuring Macklemore, and finally, local favorite DJ Rated R capping off the event. Additional speakers include executives from Zoom and its partners, IBM and Amazon. Breakout sessions focus on Zoom Rooms, adoption, hardware selection, Zoom Chat, and more. 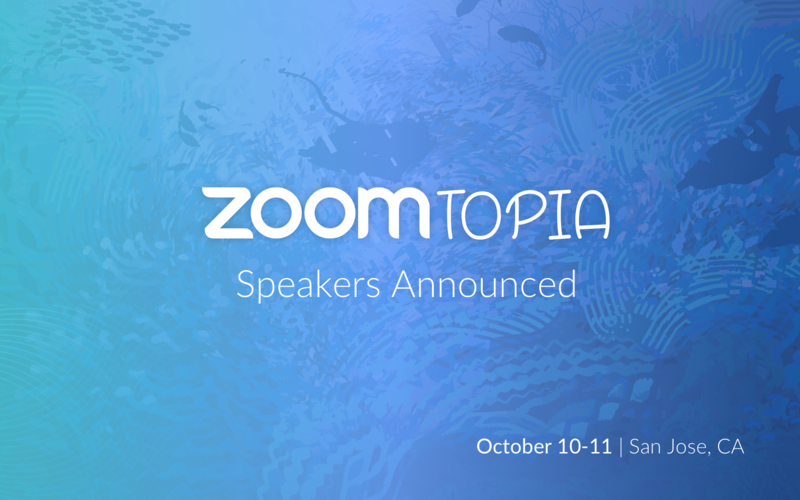 Zoomtopia will also host an expo hall, featuring sponsors such as Logitech, IBM, Okta, and AVer, as well as various Zoom technology stations staffed by product specialists providing hands-on demos. Zoomtopia 2018 will be held October 10-11 at the San Jose McEnery Convention Center in San Jose, CA. Those interested in joining the celebration can learn more and register at zoomtopia.us (early bird registration ends August 15).